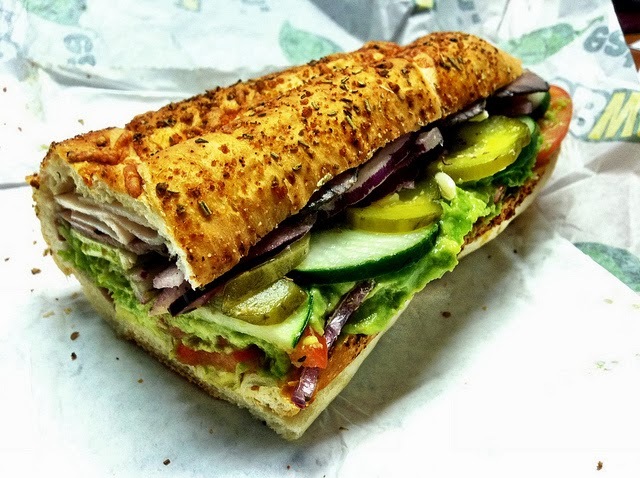 Subway restaurants, known for their “eat fresh” slogan, are widely regarded as a healthy choice when it comes to eating out. However, what many consumers don't know is that one ingredient used in their bread, azodicarbonamide, is used in the production of foam plastics, such as sneaker soles and yoga mats. Azodicarbonamide has been linked by the World Health Organization to respiratory issues, allergies and asthma; studies show that, when heated, it contributes to tumor and cancer development; when a truck carrying azodicarbonamide overturned in Chicago, it caused many people in the area to complain of burning eyes and skin irritation, and the chemical has been banned in Europe and Australia.